An illustrated talk by William Cross, FSA Scot giving an overview of all the past 8 Earls of Carnarvon and their respective Countesses of Highclere Castle, Hampshire, stretching from 1793 until the present day. 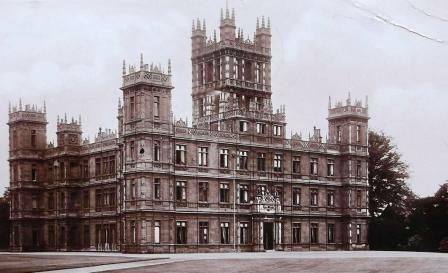 NB Highclere Castle is the backdrop to TV’s period romp Downton Abbey. William Cross, FSA Scot author of EIGHT BOOKS on the Carnarvon Earls and Countesses give his own appreciation of Highclere folk. There have been eight Earls of Carnarvon from 1793 to the present day. Favourites family first names are Henry and George. The 4th 6th and 8th Earls married twice. Notable Earls were Henry, the 3rd Earl, traveller, Classical scholar & poet ; Henry, the 4th Earl scholar & statesman who served as Colonial Secretary and Lord Lieutenant of Ireland; George, 5th Earl, co-discoverer with Howard Carter of the Tomb of Tutankhamum in 1922; and Henry, 7th Earl, horse racing manager to Queen Elizabeth II. Among the Countesses, Almina Wombwell, 5th Countess was a pioneering nurse in the Great War and beyond; Tilly Losch , one of the two 6th Countesses was a ballet dancer and film star. William Cross FSA Scot is the author of the best selling " Life and Secrets of Almina Carnarvon" and " Catherine and Tilly: Porchey Carnarvon's Two Duped Wives" and " Lordy! Tutankhamun's Patron As A Young Man". He is currently working on a new book " Carnarvon, Carter and Tutankhamun Revisited: The hidden truths and doomed relationships" published on 20 October 2016.